There is a right and wrong way to prepare Brussels sprouts and other leafy greens. Boiling and steaming can cook and literally drain the life right out of them. With this method though, you just might turn a hater into a lover. Roasting Brussels sprouts brings out a sweetness in them, especially when combined with another complimentary sweet flavor, like the red onion here. 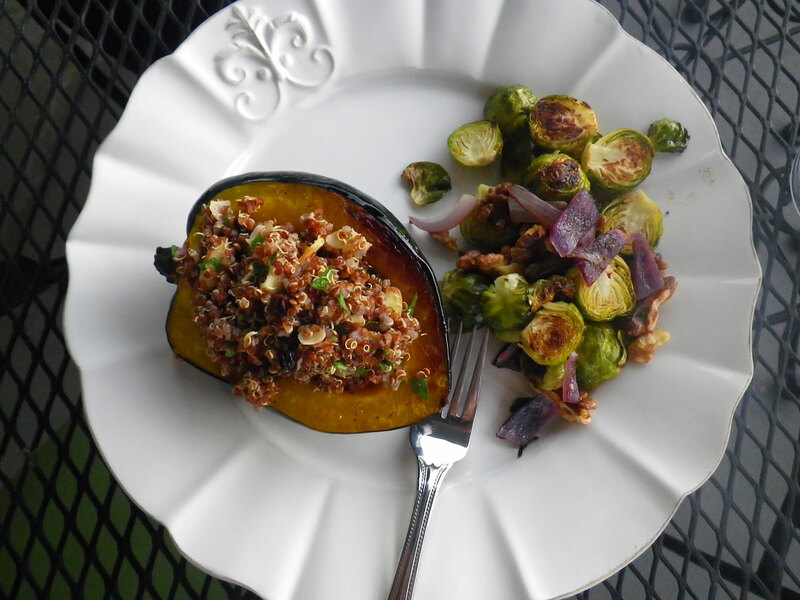 And the walnuts add a little extra nuttiness and crunch, plus a healthy dose of omega-3s. Brussels sprouts alone are veggie superstars. A relative of broccoli, cabbage, kale and cauliflower, all of these vegetables are known for being cancer fighters. And when they’re combined with onions, not only do you up the flavor, but you also up the ante. The two work together to detoxify, clean the system, and remove toxins from the body. Try getting more of the combo into your diet, and then if you really want to get crazy, throw in some mushrooms too. Preheat oven to 400. 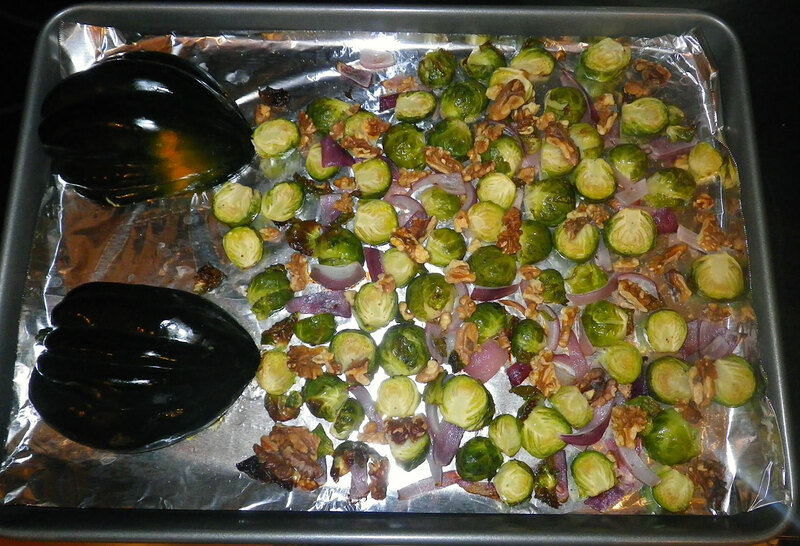 Combine Brussels sprouts, red onion, walnuts in a bowl and mix in olive oil until evenly distributed. Sprinkle with salt and pepper and spread mixture out on a rimmed baking sheet. Roast until slightly browned, about 20-25 minutes. Oh no, I’m sorry to hear they didn’t turn out well. That’s strange, how long did you cook them for? Maybe I need to adjust the cooking time in the recipe… let me know! Thanks, Sue!